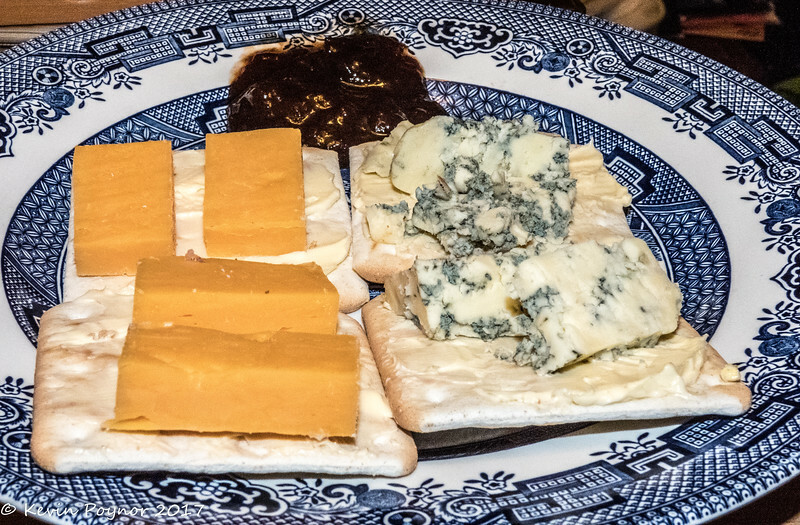 15-Dec-17 Red Leicester, Stilton, Plum Chutney and Crackers. Looking at this photo is making me hungry for lunch. I hate to whine about a cheese shot, but it bums me out that I can't taste the goodies on offer. Looks darn tasty! Love the plate!